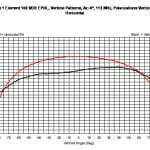 VDB Single Element | dB Systems Inc. The single element dBs 100 VDB antenna is an elliptically polarized, VHF data broadcast antenna. 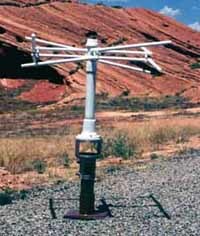 It exhibits an omni-directional azimuth pattern and a shaped vertical pattern, which is similar to a dipole. The single element VDB antenna is small and lightweight. It lends itself to mobile applications. The single element VDB antenna provides VHF data uplink service for all appropriately equipped aircraft within an approximate 20 nmi or greater radius of the LAAS ground station. Peak power handling capability for the dBs 100 is > 250 Watts CW. 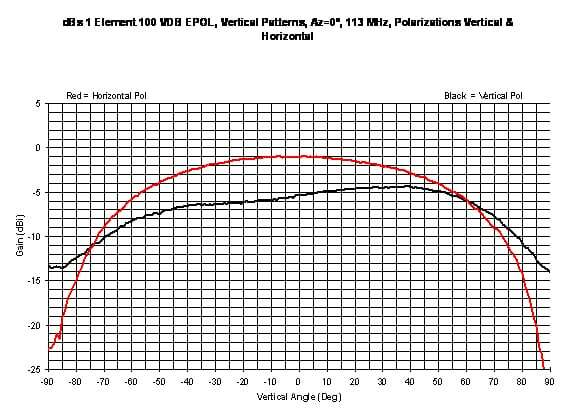 The main lobe gain is ≥ -1.0 dBi for the horizontally polarized component and ≥ -5.0 dBi for the vertically polarized component. Type N female coaxial receptacles are used for all RF interfaces. RF input is 50 Ω nominal and VSWR is less than 2.0:1.